Yesterday I was craving something with pumpkin in it. I like bread! I can eat it every single day. Although bread does have quite a bit of carbs in it, I enjoy all the different things that you can make with it, especially cupcakes. Well yesterday I wasn’t in the mood for cupcakes. I wanted something sweet, but with a twist. I decided to get out my new KitchenAid 7 Quart Stand Mixer and put it to use. I plugged her in, attached the dough hook and started to add my ingredients. 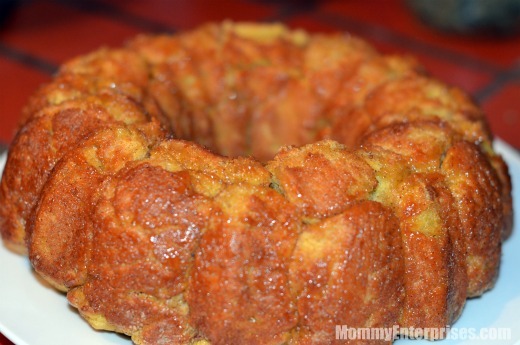 In less than a few hours, I had delicious Pumpkin Monkey Bread that was gone like hot cakes. 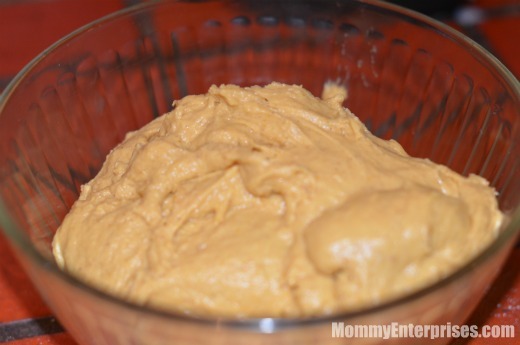 Seriously, this bread was so good that I need to make another batch…. 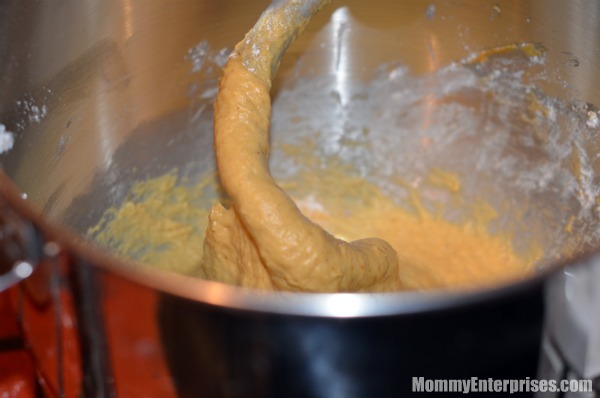 In a large stand mixer add water, milk, yeast and sugar together with dough hook until mixed. Let mixture sit in bowl for about 5 minutes to allow yeast to proof. Stir in the egg, butter, salt, pumpkin, cinnamon and nutmeg. Slowly add the flour and mix until dough pulls away from the sides, but does not stick to your hands. 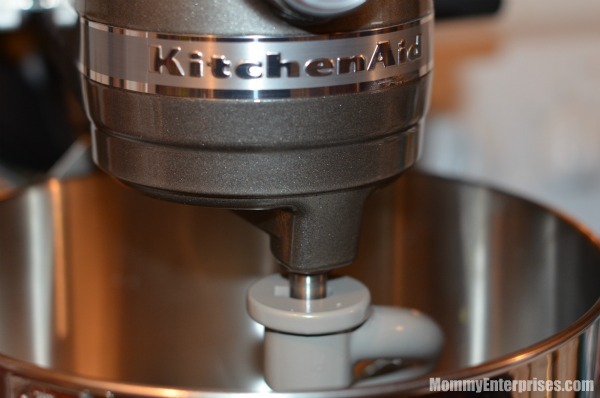 Once you hit desired consistency, let mixer knead dough for 3 to 4 minutes. Remove dough from mixing bowl, move to another bowl, cover tightly and let sit in warm area for 1 hour to allow dough to rise. Remove cover from bowl. Add your extra sugar and cinnamon in bowl for dipping. Pull dough into pieces, rolling dough in your hand, creating golf ball sized dough balls. 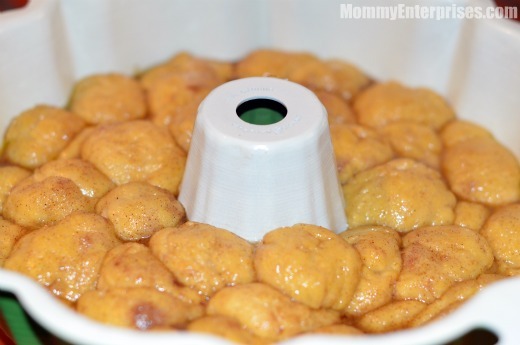 Dip dough balls in butter, roll in sugar and cinnamon mixture and place into bundt or angel food cake pan, placing the dough balls next to and on top of each other. Make sure to grease your pan if you do not have a non-stick pan. Once you have used all of the dough, cover and let set another hour to allow dough to rise more. Remove cover, bake at 350 degrees for 25-30 minutes until top is golden brown. 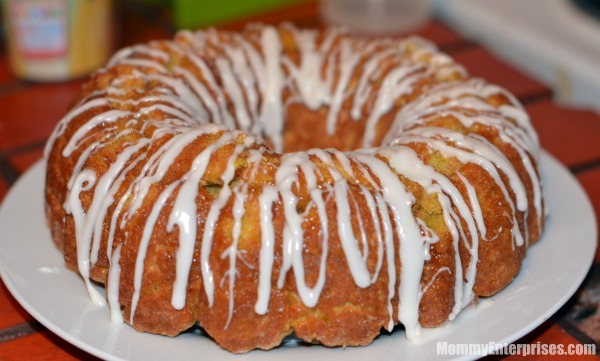 While bread is cooling, mix powdered sugar, milk and vanilla extract to create a glaze. Allow 20 minutes to cool, then use a spoon to drip glaze up and down the sides of the bread. Pull pieces from bread and enjoy! 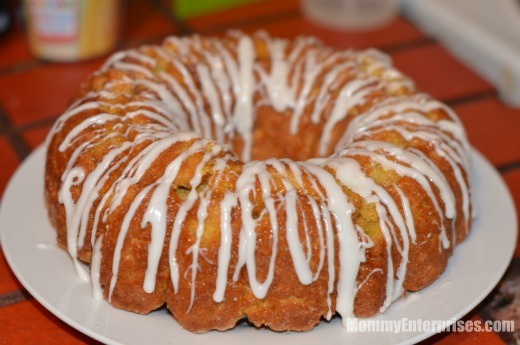 Please check out my videos on how to make Pumpkin Monkey Bread! First I got out my KitchenAid 7 Quart Stand Mixer to do the job! Then I let her get to work mixing my ingredients! Once my dough is kneaded, I put it in a bowl and let it sit to rise! 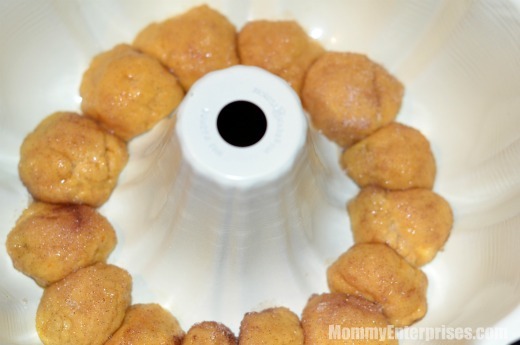 Once you start making your pumpkin dough balls, arrange in the bowl next to each other. Then start piling them on top of each other until you run out. Then you got to let it sit again another hour to rise more. Bake it and once it is done, remove from oven and cool. Then remove from your pan and get ready to glaze it! 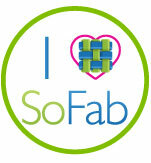 Make your glaze, apply and enjoy!